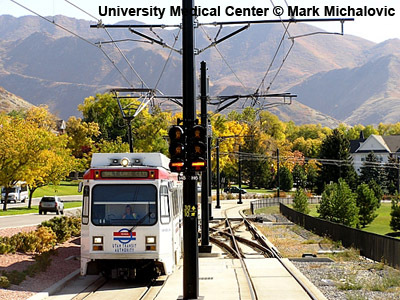 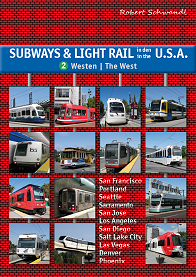 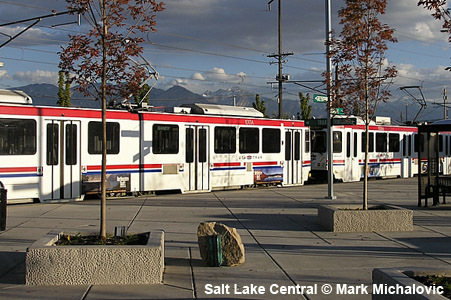 Salt Lake City (Utah), 190,000 inh, about 1 million in metropolitan area served by light rail, and 2 million in larger metropolitan region. 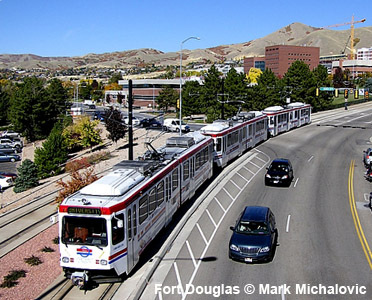 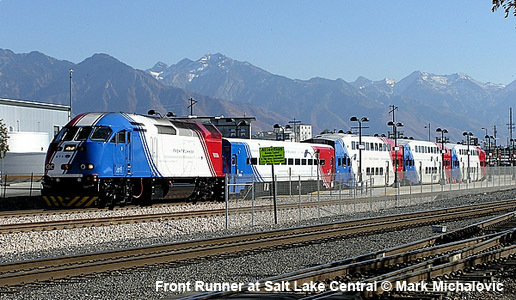 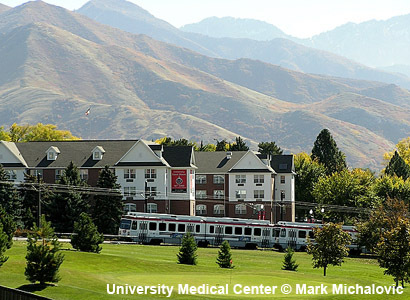 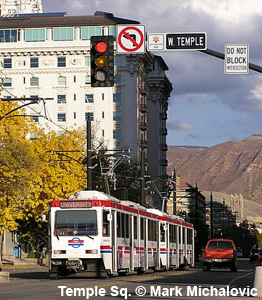 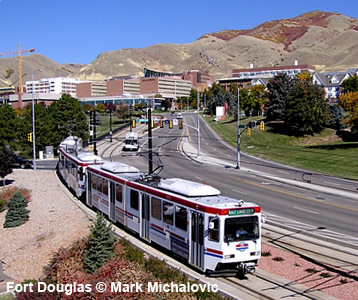 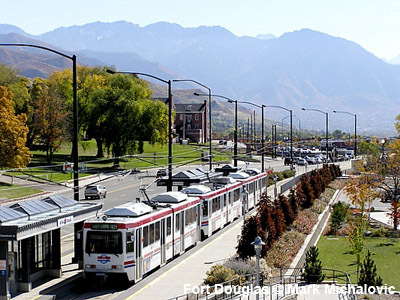 On 27 April 2008, both lines were extended from Arena to Salt Lake Central Station (1.2 km, 3 stops), where transfer is provided to the new Frontrunner suburban rail service (which operates every 30 minutes throughout the day, and hourly in the evenings). 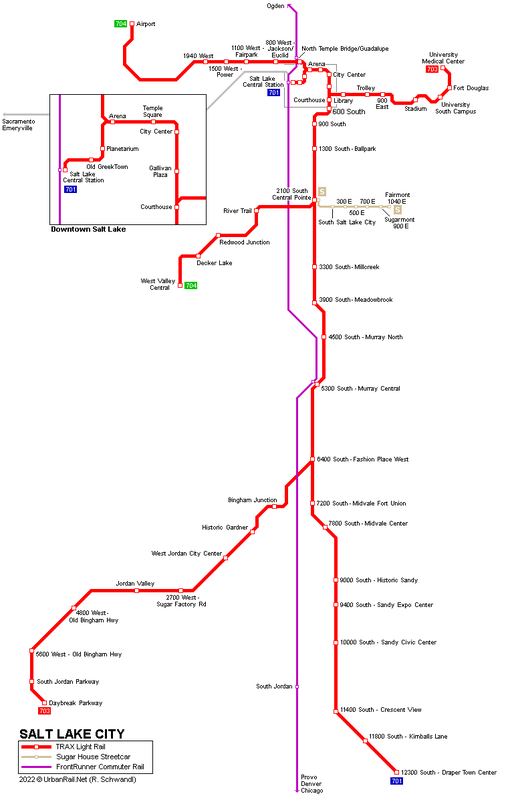 On 7 Aug 2011, the 8.2 km West Valley Line (Green Line) and the 17 km Mid-Jordan Line (Red Line) were opened. 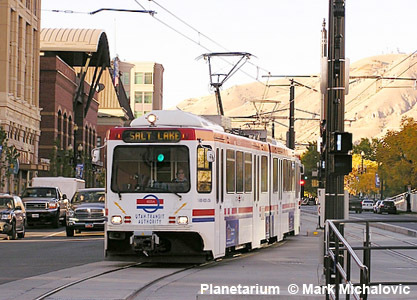 Now labelled the "S-Line", it opened on 8 Dec. 2013, also using Siemens S70 vehicles (with hidden couplers) on this primarily single-track feeder route.